Washington state lawmakers are looking to crack down on billboards featuring cannabis plants, cuddly mascots or other images that could appeal to children. Washington state lawmakers are looking to crack down on roadside cannabis billboards that feature cannabis plants, cuddly mascots or other images they fear could appeal to children. The Legislature on April 20, of all days, passed a wide-ranging set of changes to the state’s cannabis laws, including new rules for what can and cannot appear on marijuana billboards, reports KIRO 7. The measure, Senate Bill 5131, is headed to Gov. Jay Inslee’s desk for a signature. The bill would allow outdoor ads for cannabis to display only the shop’s name, logo, location, and type of business. No depictions of cannabis plants or products would be allowed. 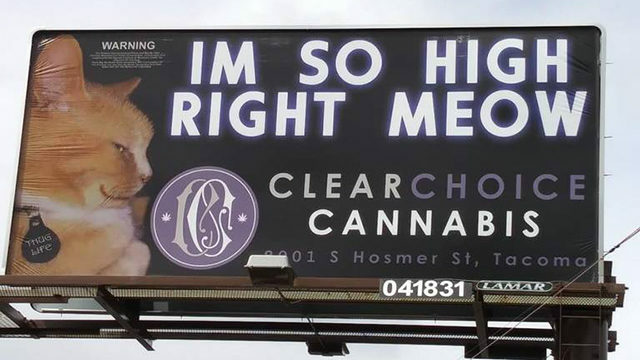 The bill also says cannabis billboards can’t use “images that might be appealing to children,” whatever that means. Washington lawmakers are doing their best not to flaunt the state’s legal marijuana industry in the faces of federal officials who still consider pot illegal, according to state Rep. David Sawyer, who chairs the House committee that deals with cannabis policy. I think if we are not the strictest state in the country, we may have a target on our back. State Rep. Joyce McDonald (R-Puyallup) claimed that type of advertisement will grab the attention of kids. Shop owner Adam Schmidt said he’s taking down the billboard after hearing complaints. He said he never intended the ad to appeal to kids, but instead to distinguish his business from others in the minds of adults. “We try to be creative with our advertising like any business would, and they just didn’t like that,” Schmidt said. 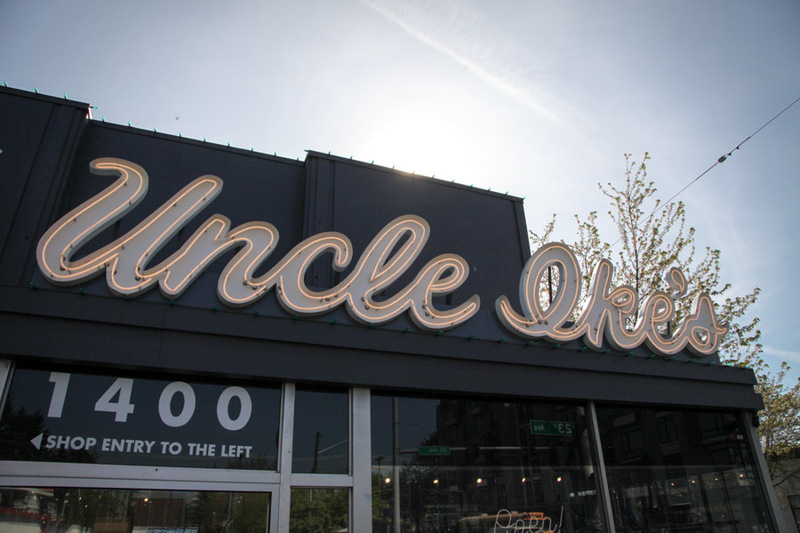 A few billboards slipping through is just an enforcement issue, and shouldn’t be used to characterize the entire industry, according to Ezra Eickmeyer, owner of Uncle Ike’s Pot Shop in Seattle and a lobbyist of the group Cannabis Retailers for Smart Regulation. He said he and fellow lobbyists actually urged the Legislature to adopt the new rules restricting what can go on pot billboards. We’re cooperatively, actively pursuing good regulations to make sure we don’t attract underage users. We’re being responsible here and solving our own problems. He said another part of SB 5131 would clarify that it’s not a crime to give marijuana to a friend who is 21 or older. Right now, only licensed businesses can “transfer marijuana,” and giving any amount to another person is a Class C felony. Come on, you light up a joint at a party with a friend who is of age, and it’s a felony to pass that joint to the person next to you? There’s no logic in that.